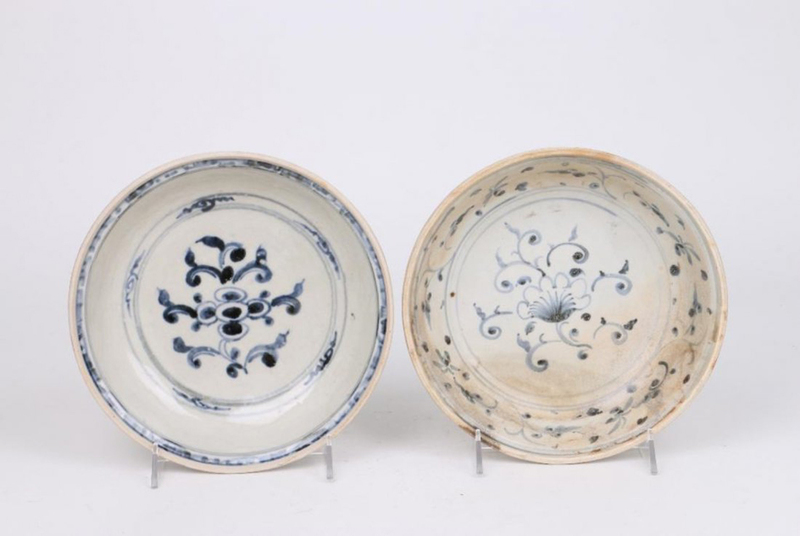 Sunken treasure from the "Hoi An Hoard"
Turner Auctions + Appraisals will present an online sale on February 12 from the renowned “Hoi An Hoard” – historic treasures of 15th- and 16th-century Vietnamese ceramics that were recovered from a trading ship that sank over 500 years ago in a typhoon in the Dragon Sea. Excavated from the deep with extreme difficulty under death-defying conditions in the late 1990s, the shipwreck’s collection of porcelain artifacts is considered by many experts to be the most significant find in Vietnamese art. The auction features over 160 lots, almost all with multiple items. Among the offerings are vases large and small, boxes, wine flasks, bowls, tea and wine cups, serving plates, platters and more. Some items are decorated with blue and white designs, enamel or white glaze; some are undecorated; and some include marine encrustations from over five centuries buried at sea. An auction highlight is a small, one-of-a-kind box in the form of a crab, decorated with green enamel that has degraded over the years due to underwater exposure at the bottom of the sea. The works for sale from the Hoi An Hoard are sure to tempt today's treasure hunters. These 500-year-old ceramics – probably created in the mid-1400s, before Johannes Gutenberg printed his first bible and Leonardo da Vinci was born – infrequently come up for auction. Focused on individual buyers, this auction presents a rare opportunity to obtain art objects with a unique historical, cultural and archaeological provenance – and at prices that enable most people to participate. The story of the Hoi An Hoard – from the collection itself, which is the only known cache of Vietnamese ceramics, to the extraordinary underwater archaeological excavation, which involved smuggling, typhoons and hazardous diving operations – is an amazing tale.